A smarter way to move is coming and Ford Motor Company is not only striving to be an automotive company with great products but, a mobility company too. They announced news on all 5 parts of Ford’s Smart Mobility. Starting with Connectivity, they are opening a wearables lab in Dearborn, MI. Focused on wearing wearable tech in vehicles that help you monitor bio-metric data from wearables like blood pressure and heart rate. If the vehicle detects that the user is sleepy or stressed, it will activate vehicle technologies like lane-keeping aid and automatic cruise control. 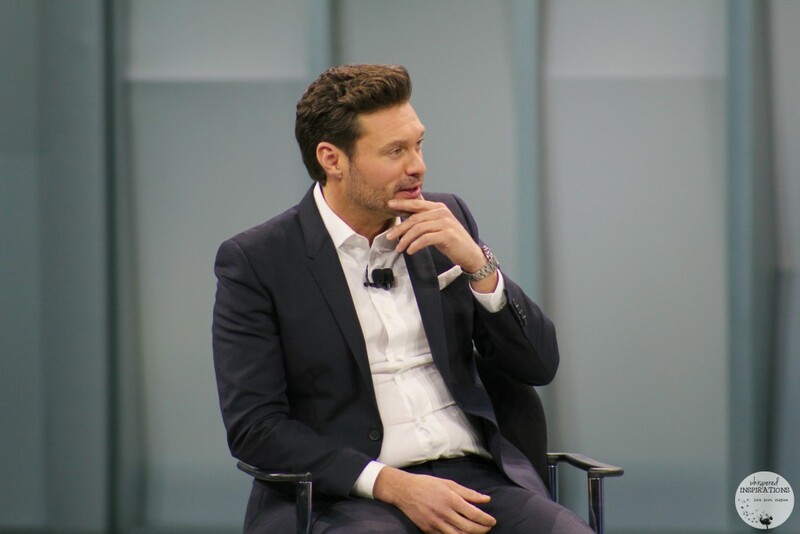 Host Ryan Seacrest has worked with Ford for many years. 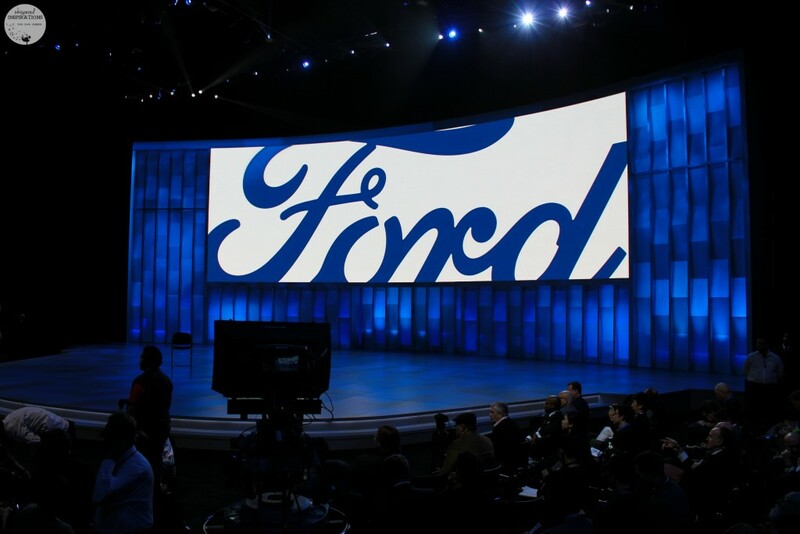 If you are a fan of American Idol, you know that Ford is a big partner and has been affiliated with the show for a long time. 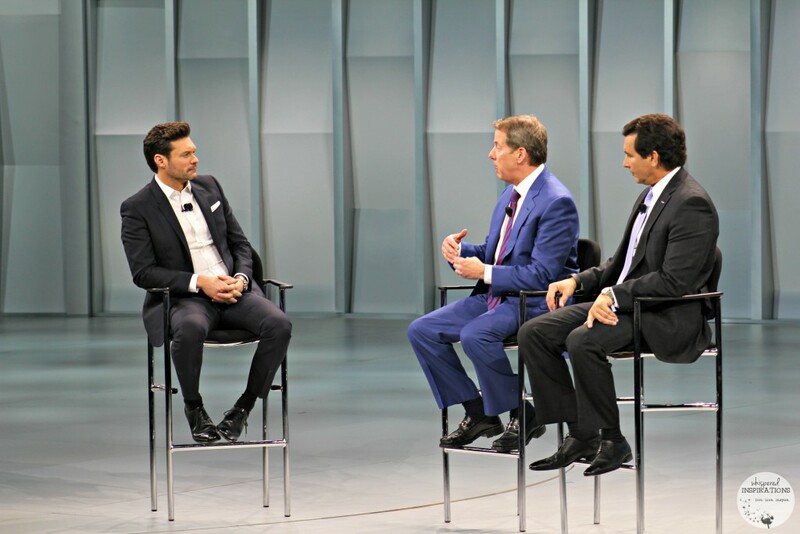 Seacrest discussed technology with CEO Mark Fields and President Bill Ford. 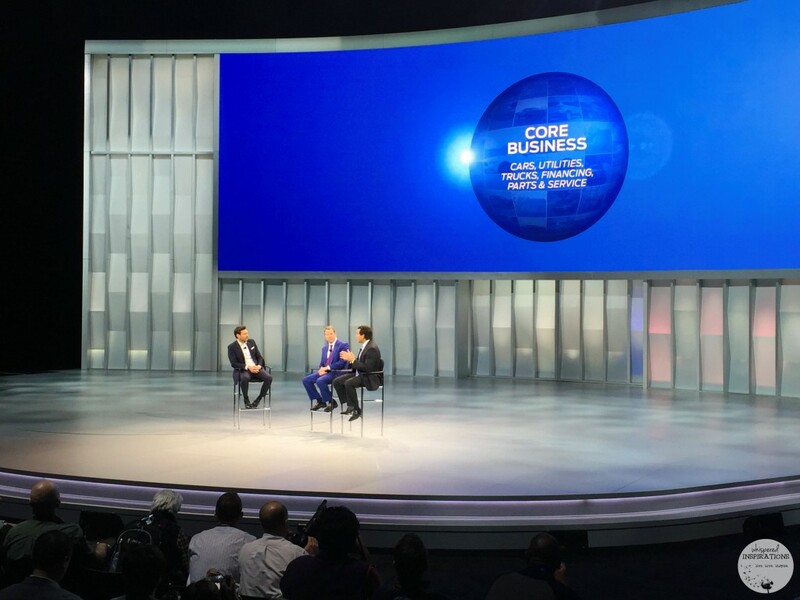 Mark Fields said that today was a start of the next transformation of Ford and he is right. They announced a new lease sharing product through Ford credit that enables up to 6 people to share a lease. The pilot for this program starts next month in Austin, TX. Digital tools let groups keep in touch, plan and track vehicle use and payments as they share the cost of the single lease. If you have a lease, you may not always use the allotted kilometers. With a new financing pilot, select customers will receive credits for unused miles to put towards their next new vehicle. They have also teamed up with IBM and have created a new data platform to look at data and identify mobility patterns and find efficiencies. For example, finding open parking spots and alternative travel routes to avoid gridlock–all in an instant. Ford has been testing out autonomous vehicles for over a decade and this year they are testing out California, Arizona and Michigan roads including Mcity, a simulated city at the University of Michigan. They are tripling their development fleet, making them the world’s largest autonomous testing fleet in the world. They are also going to be the FIRST auto company to test out autonomous vehicles in the snow. It will help take autonomous vehicles to the ultimate level. Imagine having a personal mobility assistant that you have access to 24 hours a day. It can help you navigate your favorite city, guiding you through traffic and finding parking. Just through a touch of button, you can find available and since Ford has partnered with 7 Eleven and McDonald’s, you will be able to get rewards! You can even start your car from miles away. An appreciation program that rewards you for living life like you do! 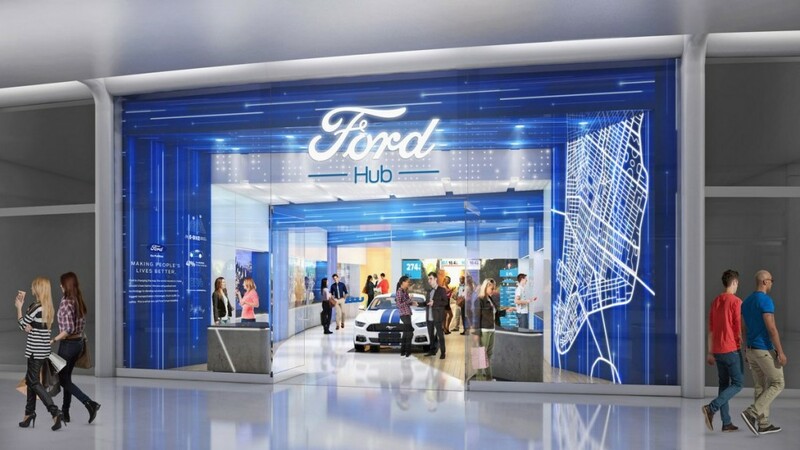 Ford is opening Ford Hubs in San Francisco, New York, Shanghai and London. Basically a place to go to help you build your ideal vehicle and rethink mobility as a whole. You can join exclusive events, share your ideas and collaborate. If you love mobility and a way to make life easier than you will be just as excited as I am about Ford Pass. Their announcements today are innovative and trailblazing. I cannot wait to see it all come to fruition and other companies follow suit. Is mobility and technology important to you? Previous Post: « Give the Gift of Identity with AncestryDNA & Ancestry.ca. They Might Just Find a Story of A Lifetime. I Discovered Where I Come From! It has been amazing and it was incredible to be there to see them take the next big step! Wow, how cool that he was there. I love the advancements in technology that Ford has made! They are trailblazing and yes, he is awesome. The concept of a joint lease is intriguing to me. I'm interested how that works in the long run, especially with the credits you can earn towards the next lease if you haven't used your allotted kilometers. The whole idea is really interesting. I'll be watching this idea intensely in the near future. It is a great idea, especially for those who live in metropolitan centre and much affordable than other services. I am a little wary about having Wifi in cars just because then kids are totally lost in technology all the time. We don;t allow playing video games in the car or head phones (unless on vacation). I want to talk to my kiddo and keep that communication open. It amazes me how much they can do with technology sometimes. I like the wearables idea a lot! It is incredible! I cannot believe what they are going to do! Yes, it's super important to me! Sounds like an awesome event! I mean though with Ryan Seacrest, I bet it was amazing! Hehe, he is pretty amazing! Having WiFi in the car would be great for road trips! I love Ford and that they are advancing in the technology arena. We own a Ford and love it. Wow that is some amazing technology Ford has developed! It may save some lives! I like the idea of wearables that measure your bio-metrics and interact with the vehicle. The lane keeping aid and cruise control sound good to me! All amazing and useful features. This would be an amazing event to go to. I love Ford vehicles. They always have the latest technology. I agree! Yes, he is awesome. That sounds awesome! I can't wait until we become even more connected. Being able to get around new towns (or your own town) is a great upgrade. The smarter the better I say! I have owned my little Ford since 2005. It has been such a reliable car that I would consider another. Ford makes cars that last! They really are, I have heard the same from many Ford owners. Awesome event and great ideas for the future cars! I look forward to what technology will bring us in the future. Me too, it is ever changing! Hmm interesting. I'm not so sure on the whole WiFi in the car thing. I worry it may be a distraction to some drivers. But good points. Hmm, I do not think there is WiFi but, I guess! My first car was a Ford. This Ford Pass sounds like a great idea. Becoming more mobile is definitely the way of the future! Ford certainly is on the cutting edge of all things tech. Wearables that interact with the car is amazing! I love the idea of multiple people sharing a lease. This would be a really outstanding way to go in a big city. What an interesting concept…sharing a lease with six people! I'll definitely look into this a lot more! Thanks for sharing! Oh wow, it's a whole new world of personal transportation! This is futuristic stuff — detecting when you're sleepy? Amazing! Yes, it is very important to me. But just as a passenger. I like to concentrate on driving, if I am the driver. Wow, technology is so amazing. I like the biometrics awareness, there are so many sleepy and tired drivers on the road, not paying attention. Me too, it can be so helpful. Wow that is amazing technology… Ford always have advance technology!! I have to agree, they are pretty awesome! I'd love to have gone to this to learn more. I think that it is indeed amazing that Ford is coming up with all this new technology. It will be a great thing for drivers as safety features etc. when they come out with all these wearable devices. Ford is indeed looking out for their customers. The safety features is what impresses me the most. well, mobility isn't. I like discovering on my own. Nevertheless, technology is very important to me specially for cars. Yes, important to me here too! It is great to see them moving as much as we are in tech. I've been following along from home. Very interesting stuff being shared from Ford. Lots of groundbreaking stuff for sure! I'm a proud owner of a Ford vehicle (and my dad also worked at Ford) so this is such exciting news for them! Very exciting! They are trailblazing. I kind of agree with the commenter above that wifi in cars might be pushing the technology a bit, in terms of major distractions on the road. I have a 2 year old and I'm pregnant with another one, and driving has become one of the scariest things for me… people aren't even pretending to look at the road anymore. I think smart cars are awesome, they really help! Sounds good, 3 out of my 4 cars I've owned were Ford. I love my Ford Edge Sport, I just checked out the 2016 at the Auto Show yesterday. The Ford Edge is a gorgeous vehicle, no doubt.